NOTE – Published “Latest News” is actually a posts page. None of below content will show, Add upcoming events under Post, but Do Not Delete This Page. Copy events from here into Old News page after the fact. 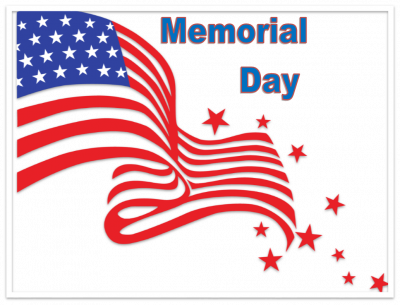 Come join us at 9:00 AM on Memorial Day, May 28, 2018, at the Montgomery Veterans Memorial in Montgomery Veterans Park for a brief flag raising ceremony to honor the servicemen and servicewomen who gave their lives serving the United States. 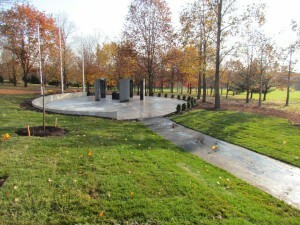 The Memorial is accessible from the Upper Parking Lot of the park and there is handicapped parking and also access to the nearby 9-11 Memorial. The Montgomery Veterans Memorial is located adjacent to the upper parking lot of Montgomery Veterans Park, Harlingen Road, approx. 1/8 mile northeast of the corner of Harlingen and Devon Road, before Estates Blvd. 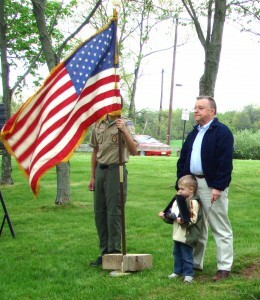 Event presented by the Montgomery Twp. Veterans Memorial Committee. For further information, email the MVMC at mvmc@twp.montgomery.nj.us. Mr. Kress is fondly remembered and greatly appreciated for his many, many years of active volunteer service to Montgomery Township. These included his tireless work from the very beginning in 1991 to fundraise for and with great joy at last, to oversee the construction of the Montgomery Veterans Memorial in 2011. He was also active in developing the Veterans Day Observance Program, a well-attended event honoring our veterans, which has been held every year since the Memorial was built on Veterans Day, November 11th. He will be missed. You’re invited! Rain or Shine! In sharing President Eisenhower’s 1954 Veterans Day Proclamation – “In order to insure proper and widespread observance of this anniversary, all veterans, all veterans’ organizations, and the entire citizenry will wish to join hands in the common purpose” – The Montgomery Veterans Memorial Committee would like to invite everyone to our Special Veterans Day celebration this November 11th. This Veterans Day marks the 7th Celebration at our Memorial, located in Montgomery Veterans Park off of Harlingen Road in Belle Mead. Veterans Day is about Honoring Those Who Have Served and perhaps nowhere is that more important than in Montgomery! 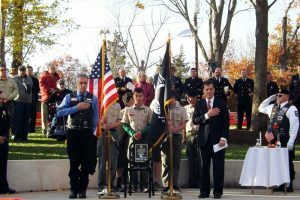 The one hour Veterans Day event will include a procession and performance by the Montgomery High School Marching Band and first responders, presentation of the colors, patriotic speeches by local officials, and much more. Remarks will be offered by Congressman Leonard Lance, Assemblyman Jack Ciattarelli, Joseph Kotch, a member of the Rolling Thunder veterans organization, Montgomery boy scout Srikar Surapaneni and girl scout Julia Garaffa. This year will include something new: special costumed re-enactors from both the Civil War and WW II including a President Lincoln Impersonator in full dress. They will be set up near the Veterans Memorial from approximately 10:00am to 2:00pm – well before and after the day’s celebration and ceremony. Additionally, the POW/MIA CHAIR OF HONOR will be on display. The perpetually empty chair helps everyone to remember those service members who have not yet returned home – some 82,429 unaccounted for as of October 2017. For the Procession & Ceremony itself – Please plan to arrive by 10:45am as Harlingen Road leading to the upper parking lot in both directions will be closed for the parade. All are welcome to this family friendly event! The Veterans Memorial as well as the 911 Memorial and all areas of Veterans Park are now fully accessible to those in wheelchairs and with walkers etc. This will be a brief ceremony to acknowledge Montgomery Township’s new designation as a “Purple Heart Community”. This designation recognizes the sacrifice of all military members who have been wounded or killed while serving the nation in a time of war. Members of the Military Order of the Purple Heart will be present. Keynote speaker will be Brigadier General Michael L. Cunniff is Adjutant General of the New Jersey Army and Air National Guard. Accepting the honor on behalf of Montgomery and reading a Township resolution will be Montgomery Mayor Ed Trzaska, Administrator Donato Nieman, and Township Clerk Donna Kukla. 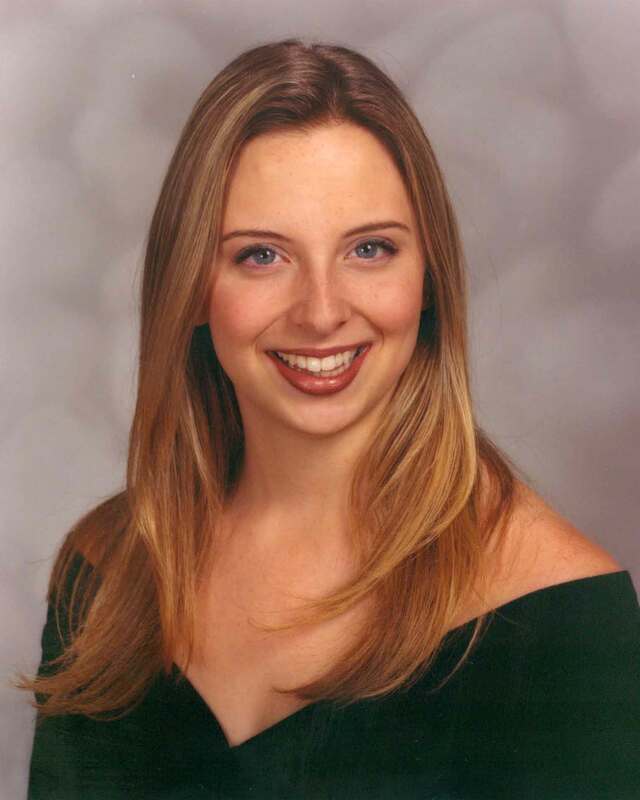 This event is intentionally set on the anniversary of Township resident Ashley Henderson-Huff being killed in Iraq. [KIA: 9.19.06] The United States military awarded First Lt. Huff the National Defense Service Medal, the Global War on Terrorism Expeditionary Medal, the Global War on Terrorism Service Medal and the Army Service Ribbon. She was posthumously awarded the Bronze Star, Purple Heart and the Combat Action Badge. There will also be a special plaque and presentation honoring the memory of Lt. Henderson-Huff. This brave soldier spent a good portion of her childhood in Montgomery and attended Montgomery High School. There will also be special plaques and presentations honoring the memories of both Lt. Ashley Henderson-Huff and SP4 Stephen H. Warner, a young war correspondent killed in action in Vietnam. Both of these brave soldiers hailed from Montgomery and attended Montgomery High School. Two ‘open house’ hours of observance with MVMC volunteer staff available to answer questions will occur on Monday, September 11th at 9:45 AM and again at 7 PM. These two times are set up to foster remembrance and quiet reflection on the tragic events of the day as well as the bravery displayed by those who responded to the attack. 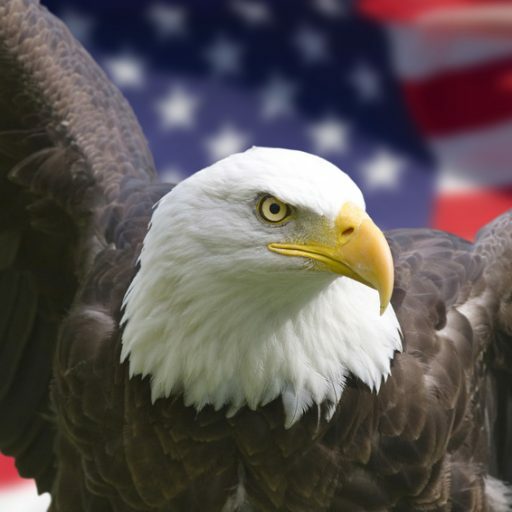 This is also a time to foster awareness when those who do not remember that day can learn about the occurrence and how it impacted specific lives, their loved ones, and indeed, all of America. The recently improved 9-11 Memorial site is also available daily during park hours to any respectful visitors. Come join us Monday, May 29 – Memorial Day 2017 – at the Montgomery Veterans Memorial in Montgomery Veterans Park for an hour to honor the servicemen and servicewomen who gave their lives serving the United States. 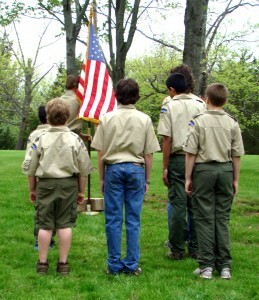 There will be a ceremony at the Veterans Memorial at 10:00 am, concluding at the nearby 911 Memorial. The event will be held rain or shine. 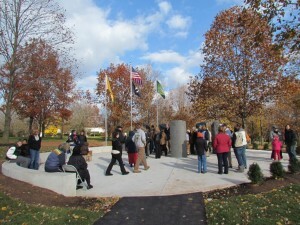 The Ceremony will include brief speeches by (in order) Donato Nieman, Township Administrator; Mark Caliguire, Somerset County Freeholder and Veterans Memorial Committee Advisor; Pat Graham, Veterans Memorial Committee Liaison; and Ed Trzaska, Mayor of Montgomery and Veterans Memorial Committee Advisor. We will conclude at the 911 Memorial with a re-dedication and ceremonious flag-raising using a Capital-flown flag provided by Congressman Leonard Lance. Montgomery Township Resident Eric Bulger, Retired Police Officer who was at Ground Zero on 9 11 and the weeks following will also speak. The 9-11 Memorial has been updated with a new patio area and landscaping through the EP Henry HEROSCAPING Program. 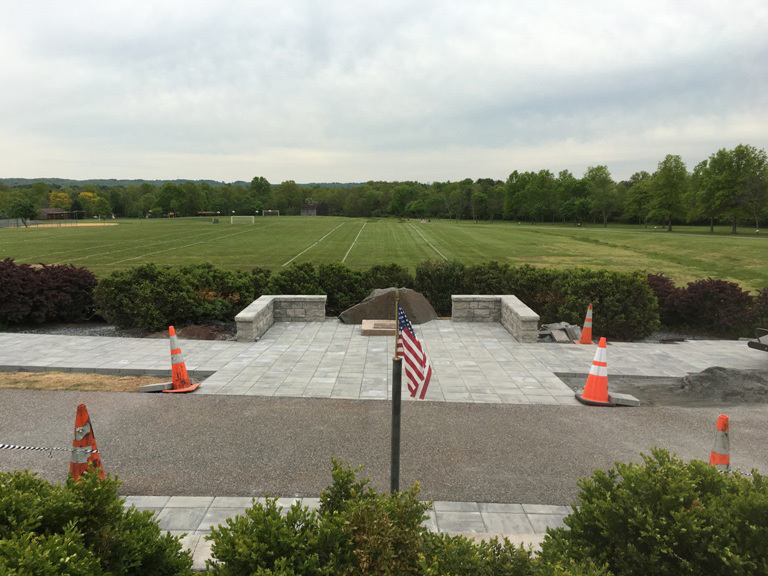 All hardscaping materials have been donated by EP Henry and additional materials, to include labor and landscaping, have been donated through a team-effort by Montgomery Township Public Works, Montgomery Cub/Boy Scouts, and several local businesses. The ceremony will last approximately 30 minutes and there will be a 30 minute open house of both memorials afterwards. The POW/MIA CHAIR OF HONOR will be on display and members of the Veterans Memorial Committee will be on hand to answer questions. Both memorials are accessible from the newly paved Upper Parking Lot of the park and there is handicapped parking and accessibility (see locator map). The Montgomery Veterans Memorial is located adjacent to the upper parking lot of Montgomery Veterans Park, Harlingen Road, approx. 1/8 mile northeast of the corner of Harlingen and Devon Road, before Estates Blvd. (see locator map.) Presented by the Montgomery Twp. Veterans Memorial Committee. For further information, email the MVMC at mvmc@twp.montgomery.nj.us . FOR WREATHS ACROSS AMERICA’S STOP IN MONTGOMERY (12-12-18) …. Please visit our PHOTOS page! 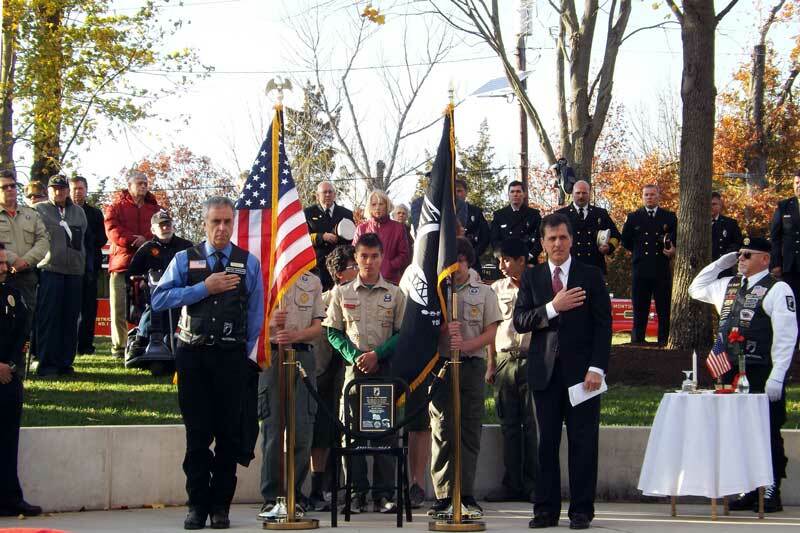 Montgomery Township will hold a Veterans Day observance on Sunday November 11th at 11 AM at the Montgomery Veterans Memorial. The Memorial is located next to the upper parking lot of Montgomery Veterans Park on Harlingen Road. This year will again include special costumed civil war reenactors and field equipment. This year they will also set up in encampments overnight Saturday. Visits from the public to the encampments are welcome from sunrise Sunday in the Park as well as after the end of ceremonies. There will also be a special appearance by President Abraham Lincoln. After opening remarks by Mayor Christine Madrid, this year’s speakers will feature local veterans First Sgt. Chris Jaeger, US Army National Guard, and Captain Dimitra Bairaktaris, US Army, as well as U.S. Marine Mike Maloney, representing Rolling Thunder, which is a Veteran & MIA/POW support and awareness organization. 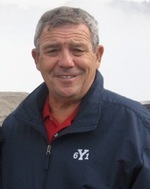 Master of Ceremonies will be Peter Rayner, Navy veteran and Chairman of the Montgomery Veterans Memorial Committee. These speakers will be followed by four 6th grade students from Montgomery Lower Middle School reading their selected “Letters to Veterans.” Over 100 letters were written by Montgomery students. The observance kicks off at 11 AM with a procession from Devon & Harlingen to the Memorial, which includes the Montgomery High School Marching Band and first responders. (Arrive before 10:45 AM. Police will close this section of road in both directions.) The procession will be followed by a presentation of the colors, the national anthem, an invocation by Rabbi Jacob Adler, and speeches. Musical selections by the Montgomery High School Marching Band, ending with a playing of “Taps”. Parking is also available at the lower parking lot of the park, a short walk away for the able-bodied who wish to save spaces for the handicapped next to the Memorial. Please join us for this free, family friendly event! Two ‘open house’ hours of observance with MVMC volunteer staff available to answer questions will occur on Monday, September 11th at 8:45 AM and again at 6 PM. These two times are set up to foster remembrance and quiet reflection on the tragic events of the day as well as the bravery displayed by those who responded to the attack. 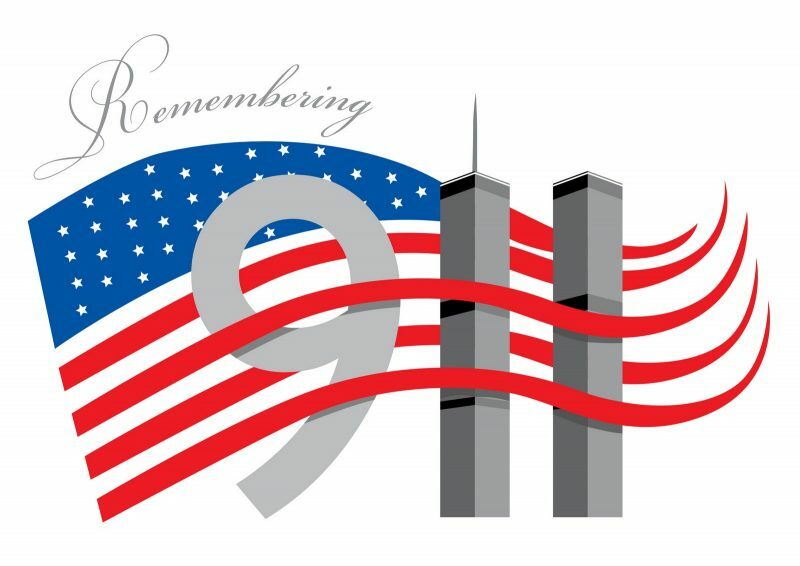 This is also a time to foster awareness when those who do not remember that day can learn about the occurrence and how it impacted specific lives, their loved ones, and indeed, all of America. The recently improved 9-11 Memorial site is also available daily during park hours to any respectful visitors. 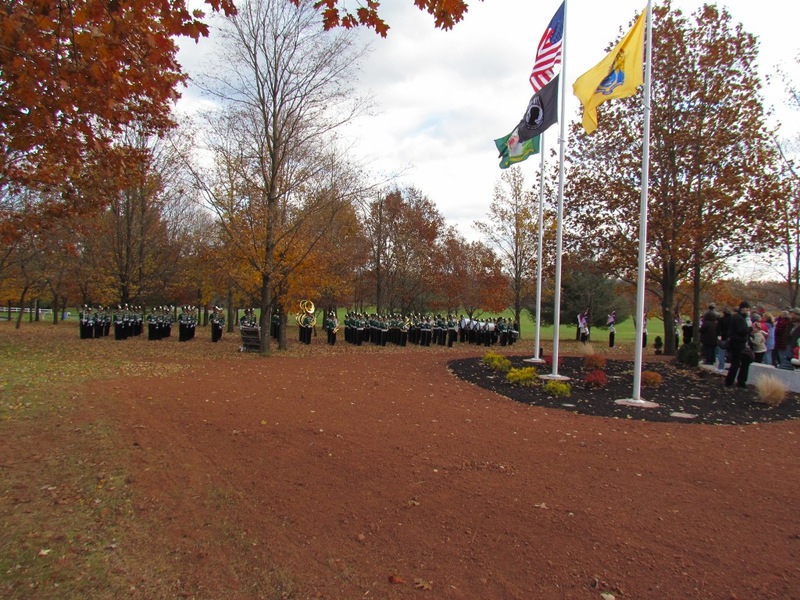 This Veterans Day marks the 5th Anniversary of our Memorial, located in Montgomery Veterans Park off of Harlingen Road in Belle Mead. Our very namesake, General Richard Montgomery, was not only a distinguished leader who served our country honorably but is widely recognized today as America’s first national hero after his courageous efforts in battle and falling on December 31st, 1775 in the Battle of Quebec. As part of this year’s festivities, there will be a POW/MIA Chair of Honor Dedication sponsored by Rolling Thunder. This particular dedication is occurring across the country and is specifically meant to honor those Veterans who served – numbering well over 80,000 – who never made it back home. The afternoon’s event, which begins with a parade down Harlingen Road, speeches and patriotic music by the Montgomery High School marching band, typically lasts a little over an hour. Please plan to arrive by 2:45pm as Harlingen Road leading to the upper parking lot in both directions will be closed for the parade. While everyone is welcome at the Veterans Day celebration as they are welcome year round at the Memorial and Park itself, we extend an invitation to all to be more cognizant of the many Veterans in need throughout the rest of the year, on the other 364 days! We invite everyone to remember that our lives today as we know them, our freedoms, our liberties, our pursuits of happiness, are assured 365 days a year because of the sacrifices – and ultimate sacrifices – of our countless Veterans. As Americans, Recognizing and Appreciating Veterans is an ongoing and forever-perpetual duty, obligation, and responsibility – such extending well beyond just a single day. As a cool breeze blew and the rain held off, the groundbreaking for the Montgomery Veterans Memorial took place April 29th at Montgomery Park with an assembled crowd of township leaders, veterans, MVM committee members and other supportive residents, and a young Marine home on leave from Afghanistan. 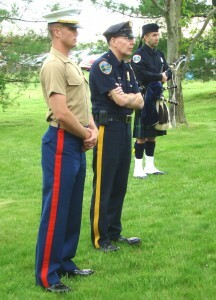 Bagpipes, played by Police Lt. Jim Curry, opened the ceremony and were followed by the Color Guard from Boy Scout Troop 46. Hugh Dyer, MVM committee chair, delivered brief remarks – taking the opportunity not only to welcome those present and describe the project that will unfold in the coming months, but also to remember two remarkable men, Jerry Cianfrocca and John Warms, whose vision, dedication and work years ago made the Montgomery Veterans Memorial possible. 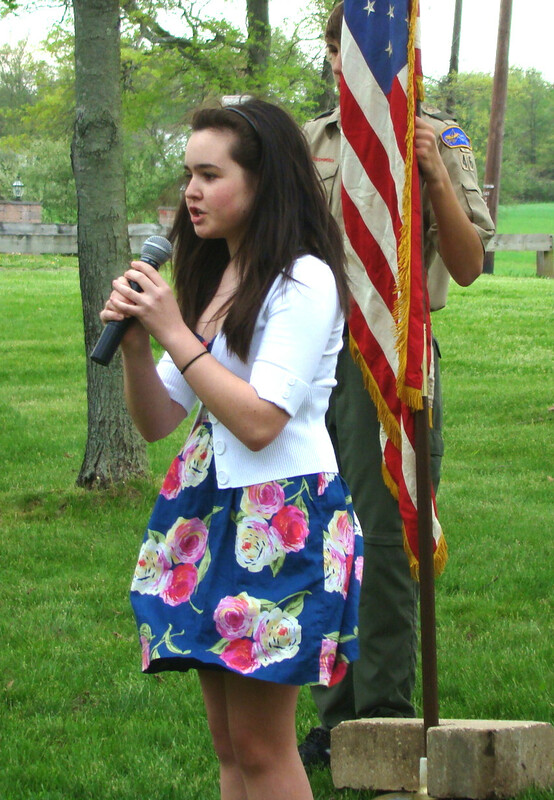 Aisling Tyndall, a student at Montgomery High School, sang the National Anthem beautifully. Mayor Mark Caliguire spoke eloquently about the importance of remembering the contributions and sacrifices of veterans and their families. Members of the MVM committee were then invited to gather around a well-used but freshly painted shovel to officially break ground. Those present, and many others, then assembled at the Princeton Elks Lodge in Blawenburg for a benefit reception, at which more than $4,000 was raised. It was a good day for Montgomery, and an important benchmark for the Montgomery Veterans Memorial. 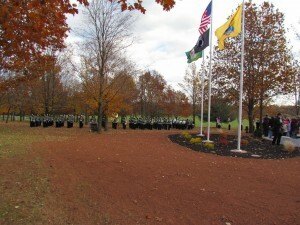 The memorial will be dedicated on Veterans Day, November 11, 2011. 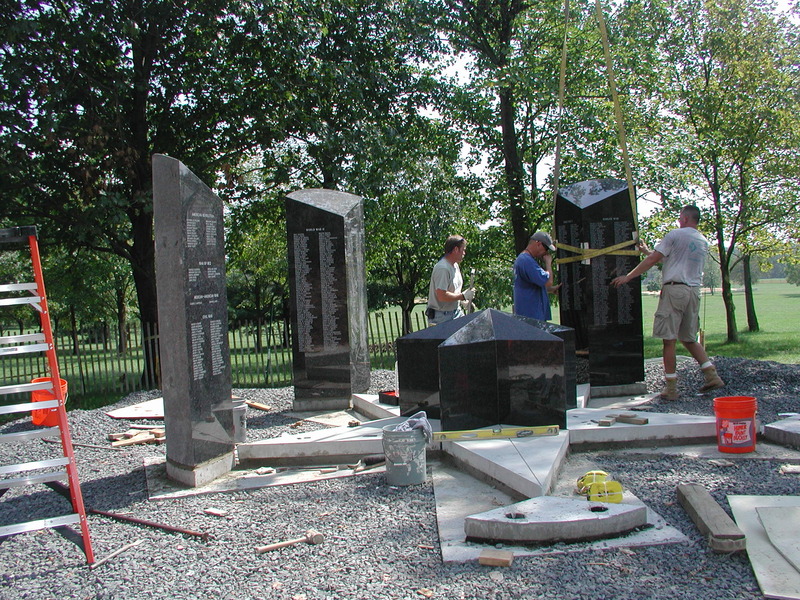 March 11, 2011 … Members of Montgomery Township’s Police Benevolent Association (PBA #355), voicing strong support for the town’s Veterans Memorial project, have established the Montgomery Veterans Memorial Challenge. The PBA will provide a one-to-one match for donations to the memorial, up to a total of $2,500. Checks made out to Montgomery Veterans Memorial/PACF should be mailed to the Princeton Area Community Foundation, 15 Princess Rd., Lawrenceville, NJ 08648. 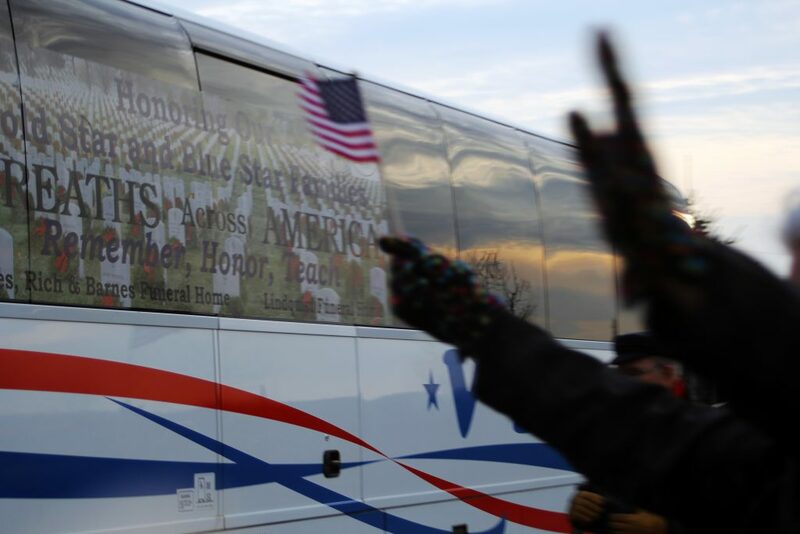 Donations and pledges are also accepted online at www.MontgomeryVeteransMemorial.org. 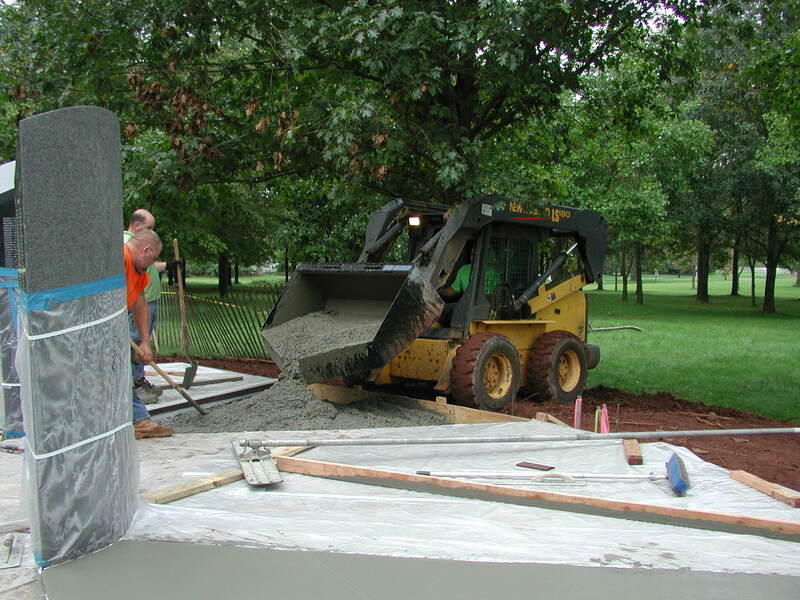 The Veterans Memorial project has long been planned, and is now coming to fruition. 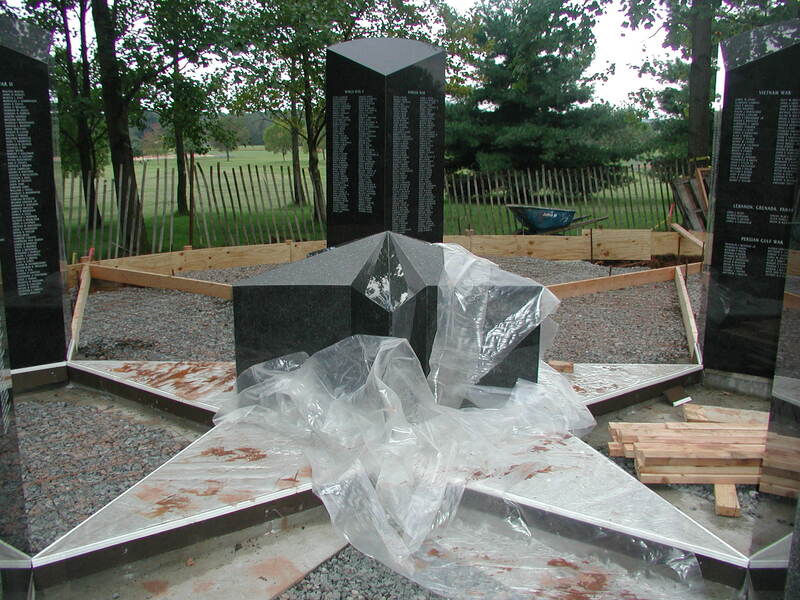 The main components of the memorial – a central pentagram and five columns engraved with nearly 900 veterans’ names – will be delivered in late May. 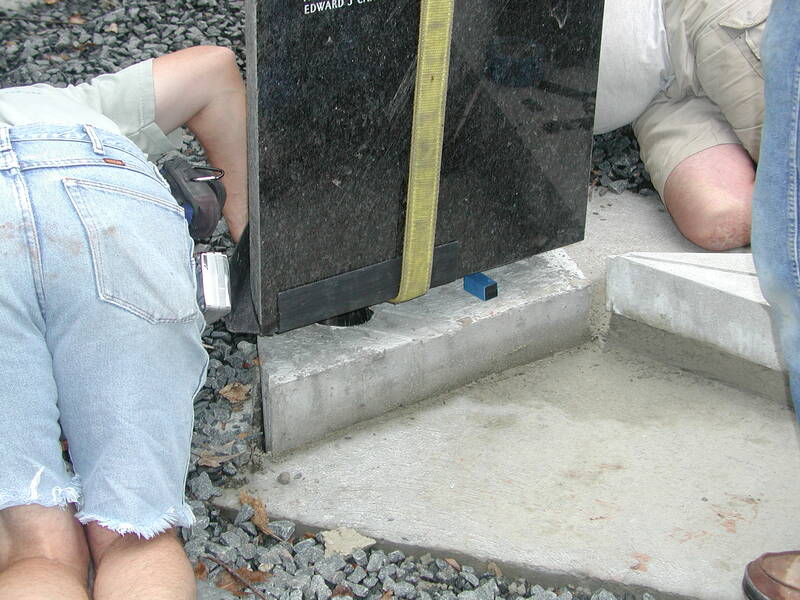 Engineers and contractors are on site to survey and prepare for construction and installation. An official groundbreaking is planned for Friday, April 29 at 5 p.m. at the memorial location in Montgomery Park, near the sharp curve in Harlingen Road. A fundraising reception will be held immediately afterwards at the Elks Club in Blawenburg. 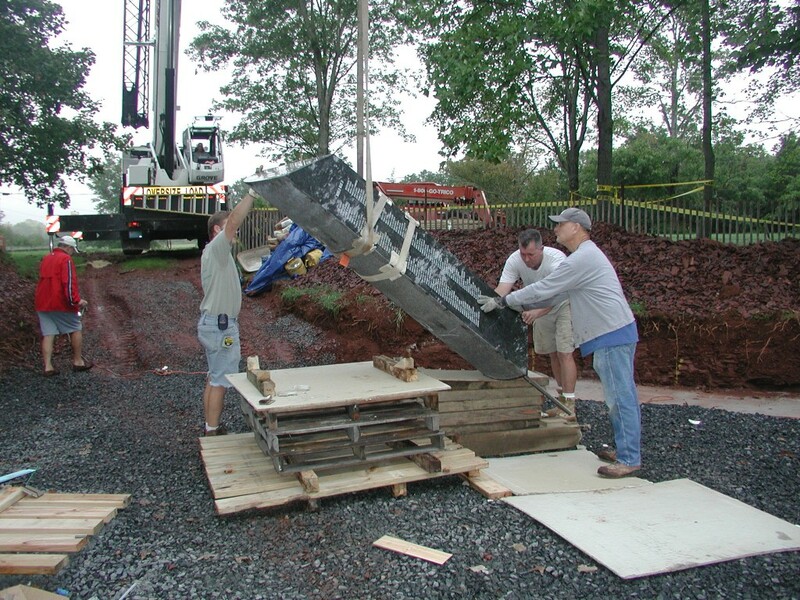 From the beginning, the Veterans Memorial project has been driven by volunteer time and labor, with cooperation from township staff and bipartisan support from local elected officials. 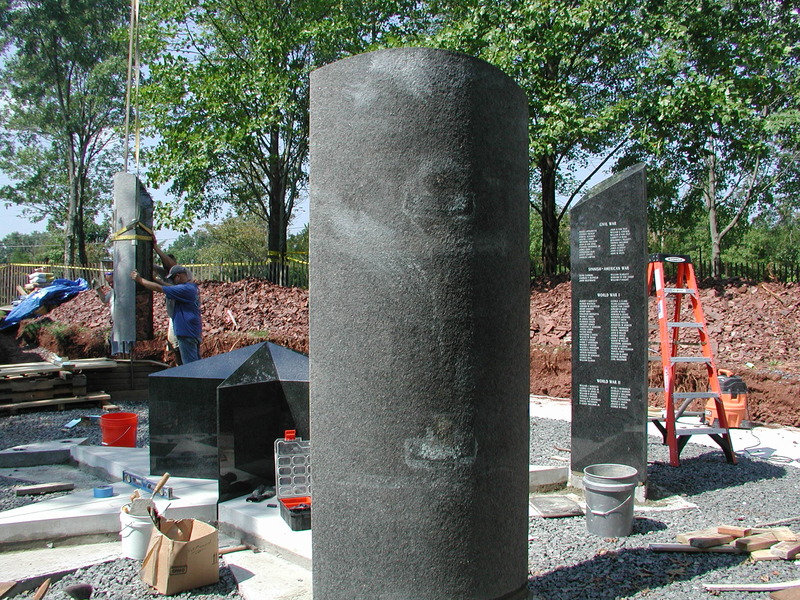 About $15,000 of new donations is needed immediately to complete the primary, central portion of the memorial this summer. 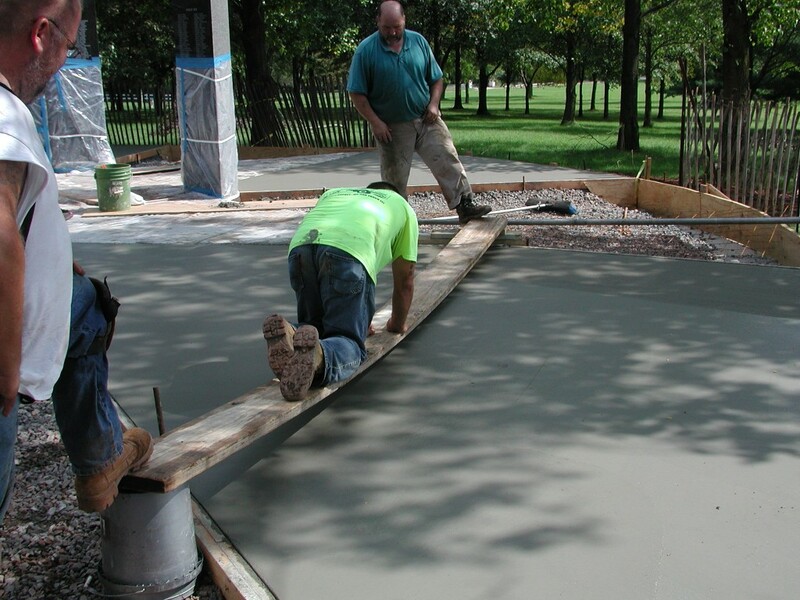 Additional funds will be raised for amenities such as granite benches, landscaping and a pathway connection. Funds donated over the years have been held by Princeton Area Community Foundation in interest-bearing accounts. 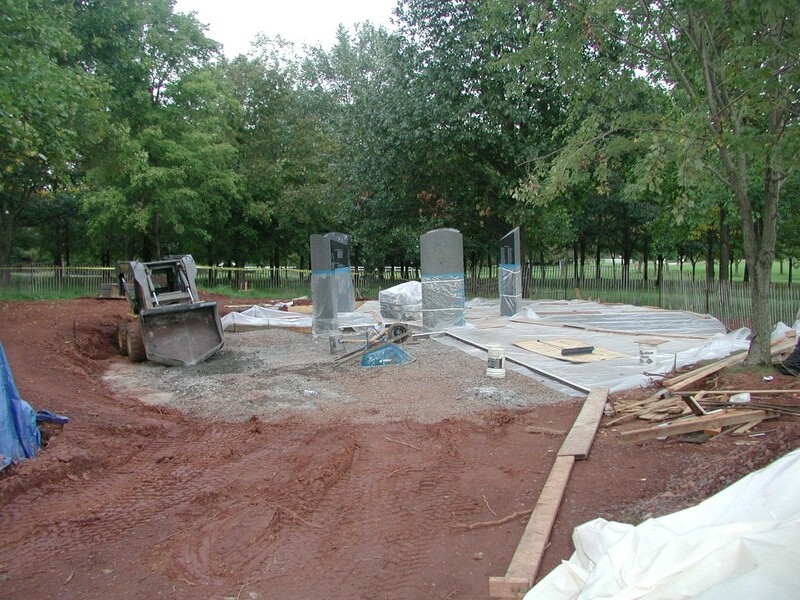 About $15,000 is needed to complete Phase One of the project. 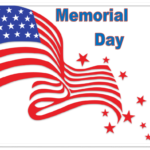 Donations can be made through the web site or via check payable to Montgomery Veterans Memorial / PACF and mailed to the Community Foundation, 15 Princess Rd., Lawrenceville, NJ 08648. 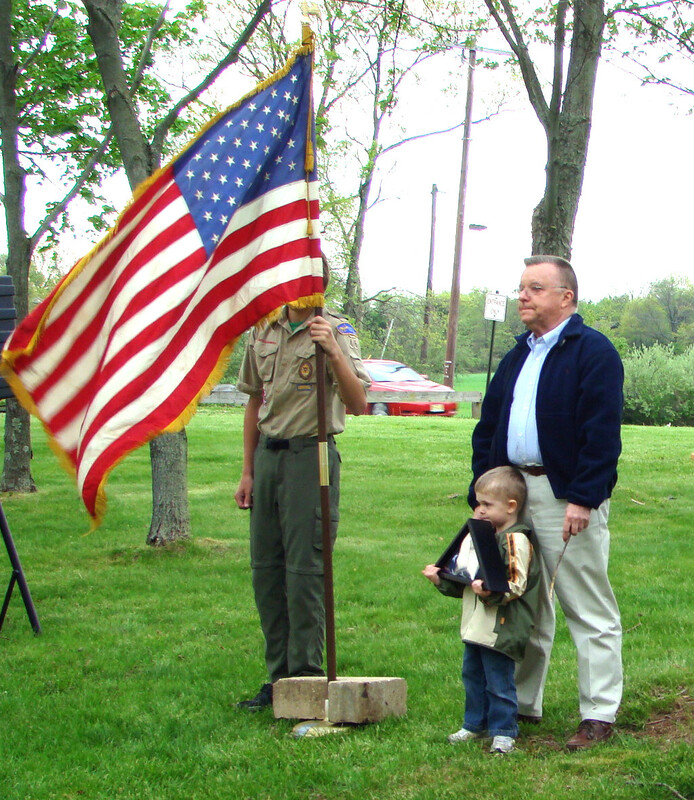 “MONTGOMERY — By Memorial Day, a township group hopes to unveil a project to the public that will honor the township’s veterans. 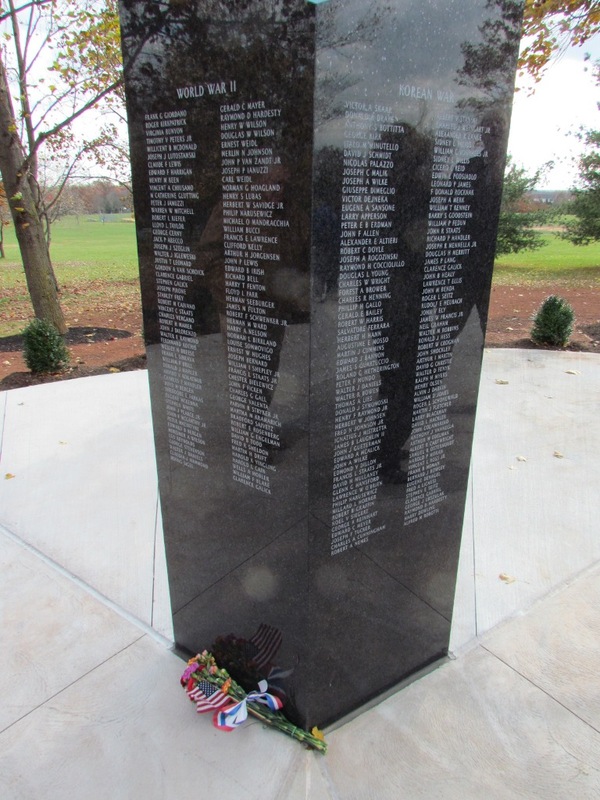 The group – the Montgomery Veterans Memorial Committee – includes about 20 people, many of whom are veterans, local businesspeople, school leaders, current and former township officials, police officers and residents. 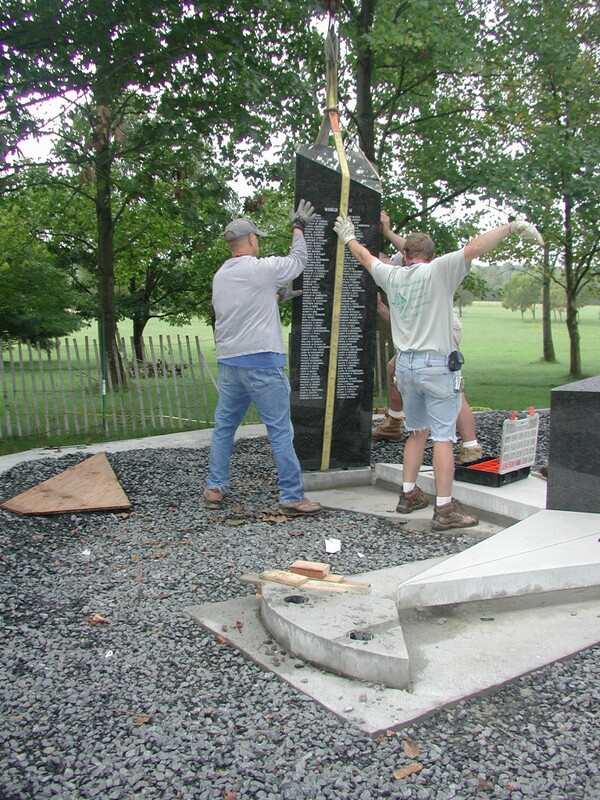 The Township Committee in 1991 appointed the ad hoc group to create an appropriate memorial for township veterans. Phase I of the memorial project, when completed in spring 2011 at the northern portion of Montgomery Park on Harlingen Road, will include a central pentagram; five three-sided pillars engraved with the names of veterans and the war or wars in which they served; a small plaza connecting the granite pieces; three flagpoles, basic lighting and landscaping. Veterans Memorial Committee Chairman Hugh Dyer said at least $20,000 in private donations still needs to be raised to complete Phase I’s price tag of approximately $200,000. Phase II, expected to cost an additional $110,000, is needed to complete a full outer plaza, finished walkways, granite benches and enhanced landscaping details. To date, Dyer said no funding has been made available for that part of the project. However, Dyer said he is confident the first fundraising goal for Phase I will be met. In understanding the tough economic climate, he said the committee has adjusted the project to cut costs without changing the essence of township-based architect Tom Lee’s design. Construction is expected to begin early next year. Once the project is completed, it will honor about 850 township veterans serving in all wars from the American Revolution to current conflicts. The largest group is from World War II. 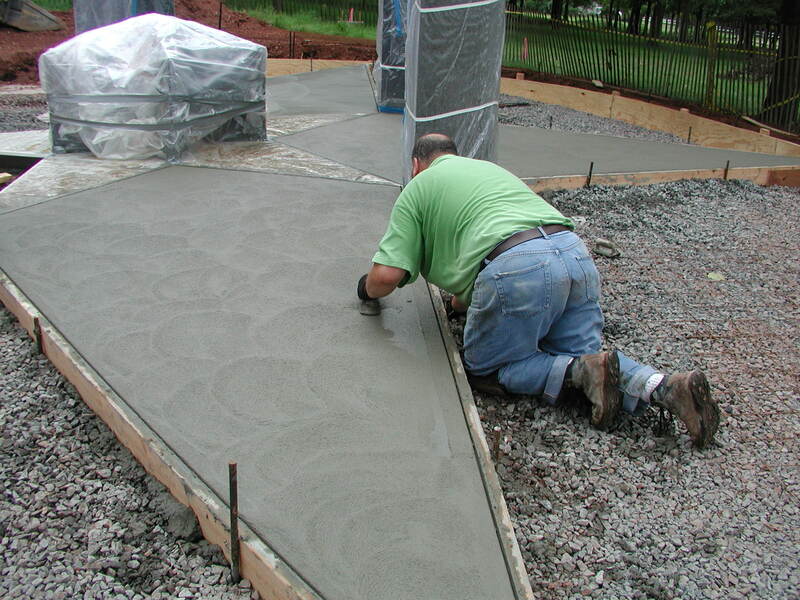 The plan to construct the township’s first veterans memorial has been at least eight years in the making. After it was formed, the Montgomery Veterans Memorial Committee wasn’t essentially active until 2001, Dyer said. That year, under the leadership of Chairman Jerry Cianfrocca, the committee was reactivated and began working on creating an appropriate veterans memorial. The committee decided to name it the “Montgomery Veterans Memorial” with the intentional omission of an apostrophe. An apostrophe would indicate possession of the “memorial” of or by the veterans. The clear intent, Dyer said, is that ownership of the memorial is vested in the people of the township for the purpose of honoring the veteran. The first major accomplishment of the committee was securing the services of Lee, who agreed to serve pro bono as the project’s architect and general contractor. Lee said he explored various concepts with the committee and developed the design as it exists today. “We’re hoping to make people aware of how nice a memorial this will be for a small community,” Lee said. Dyer said one of the project’s major hurdles, which also led to some delays, was selecting an appropriate site for the memorial. A small hilltop next to Pike Brook and overlooking Montgomery Park from the south initially was selected by the committee and approved by the Township Committee. However, the committee later learned there were environmental concerns resulting from building too close to a stream corridor, Dyer said. The committee then chose the future Skillman Village for its site after the township in 2007 bought the former North Princeton Developmental Center property, which was an in-patient psychiatric-care facility and Village for Epileptics that the state closed in 1996. The property then became known as “Skillman Village” and was envisioned by municipal officials to become a thriving cultural, educational, recreational and civic hub within a pedestrian-oriented, campus-like environment. However, that site is now being sold to Somerset County for a park. Lee said the memorial committee felt Montgomery Park would be a more appropriate location for the memorial. “We wouldn’t want our memorial next to a movie theater or a water slide,” Lee said, noting the Montgomery Park location is surrounded by an existing grove of trees.